Eschew the tourist crowds and head to Fontainebleau Forest (Foret de Fontainebleau) and La Tour Cesar. Get some historical perspective at Chateau de Maintenon and Beauvais Cathedral. 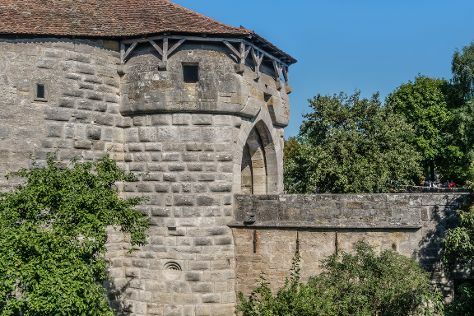 Explore the numerous day-trip ideas around Paris: German Cemetery Belleau (in Belleau), Chateau de La Ferte-Milon (in La Ferte-Milon) and La Maison Picassiette (in Chartres). 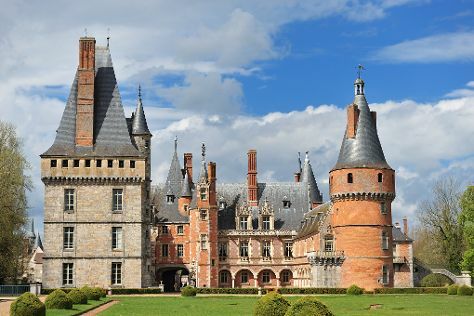 The adventure continues: step into the grandiose world of Chateau de La Roche-Guyon. To find ratings, reviews, other places to visit, and tourist information, read Paris trip planner . Brasilia, Brazil to Paris is an approximately 16-hour flight. The time zone difference when traveling from Brasilia to Paris is 4 hours. Traveling from Brasilia in April, expect Paris to be colder, temps between 18°C and 6°C. Wrap up your sightseeing on the 6th (Mon) to allow time to drive to Bruges. 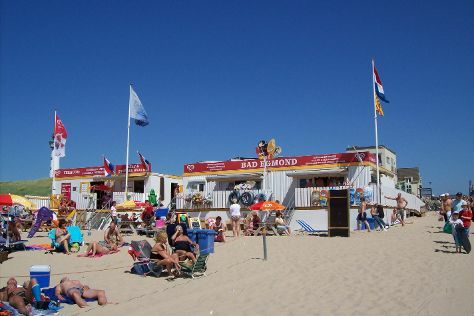 Start off your visit on the 6th (Mon): enjoy the sand and surf at De Haan beach and then contemplate in the serene atmosphere at Sint-Walburgakerk. On your second day here, explore the different monuments and memorials at German War Cemetery of Langemark , Belgium, then stroll through Leopoldpark, then take in the spiritual surroundings of De Vos Almshouse (Godshuis de Vos), and finally admire the landmark architecture of Brugge Sint Jacobskerk. To see ratings, more things to do, where to stay, and more tourist information, you can read our Bruges trip itinerary website . You can drive from Paris to Bruges in 3 hours. Other options are to do a combination of train and bus; or take a train. In April, daytime highs in Bruges are 15°C, while nighttime lows are 5°C. Finish your sightseeing early on the 8th (Wed) so you can drive to Amsterdam. Get in touch with nature at Strand Egmond aan Zee and duinreservaat Meijendel-Kievietsduin. Popular historic sites such as Muiderslot and Sint Nicolaaskerk uit 1628 are in your itinerary. Take a break from Amsterdam with a short trip to Museummolen Schermerhorn in Schermerhorn, about 44 minutes away. There's more to do: explore the historical opulence of Muiden Castle. To find maps, traveler tips, reviews, and other tourist information, use the Amsterdam trip itinerary builder website . You can drive from Bruges to Amsterdam in 3 hours. Other options are to take a train; or do a combination of train and flight. In April, plan for daily highs up to 15°C, and evening lows to 5°C. Finish your sightseeing early on the 11th (Sat) so you can drive to Cologne. On the 11th (Sat), take in the architecture and atmosphere at Sankt Andreas Kirche, take in the architecture and atmosphere at St. Maria Himmelfahrt, then contemplate the long history of St Kunibert Basilica, and finally identify plant and animal life at Lindenthaler Tierpark. For more things to do, other places to visit, and other tourist information, go to the Cologne trip builder tool . You can drive from Amsterdam to Cologne in 3 hours. Other options are to take a train; or fly. In April, daytime highs in Cologne are 17°C, while nighttime lows are 4°C. Finish your sightseeing early on the 12th (Sun) so you can travel to Rothenburg. Kick off your visit on the 12th (Sun): contemplate the long history of Markusturm and Buttelhaus, contemplate in the serene atmosphere at St. Wolfgang's Church, then contemplate in the serene atmosphere at Herrgottskirche, and finally contemplate the long history of Spital Bastion. Get ready for a full day of sightseeing on the next day: get to know the fascinating history of Marktplatz, then head outdoors with Orangerie im Hofgarten, and then contemplate in the serene atmosphere at Franziskanerkirche. For photos and more tourist information, read our Rothenburg day trip planning site . You can take a train from Cologne to Rothenburg in 3 hours. Other options are to drive; or do a combination of flight and train. In April, daily temperatures in Rothenburg can reach 15°C, while at night they dip to 5°C. You will have some time to spend on the 14th (Tue) before leaving for Fussen. Start off your visit on the 14th (Tue): contemplate in the serene atmosphere at St. Koloman and then contemplate the waterfront views at Alpseebad. Get ready for a full day of sightseeing on the 15th (Wed): contemplate in the serene atmosphere at Ottobeuren Abbey, pause for some serene contemplation at St. Lorenz Basilica, then explore the activities along Schwansee, then contemplate in the serene atmosphere at Kalvarienberg, and finally take in the architecture and atmosphere at Hl.-Geist-Spitalkirche. Make your Fussen itinerary with Inspirock to find out what to see and where to go. Drive from Rothenburg to Fussen in 2.5 hours. Alternatively, you can take a train; or do a combination of bus and train. In April, daily temperatures in Fussen can reach 15°C, while at night they dip to 3°C. Finish your sightseeing early on the 17th (Fri) so you can travel to Bern. Get outdoors at Lavaux Vineyard Terraces and Adelboden. Visit Corniche Lavaux Vineyards and Cathedrale St-Nicolas for their historical value. Explore Bern's surroundings by going to Thun (Vieille Ville de Thoune & Spiez Castle) and Grottes de Vallorbe (in Vallorbe). It doesn't end there: take in the spiritual surroundings of Nydegg Church (Nydeggkirche) and snap pictures at Kornhausbrucke. Make your Bern itinerary with Inspirock to find out what to see and where to go. Getting from Fussen to Bern by car takes about 4.5 hours. April in Bern sees daily highs of 17°C and lows of 3°C at night. On the 21st (Tue), you'll have the morning to explore before heading off to Colmar. On the 21st (Tue), explore the historical opulence of Chateau Saint Leon, learn about winemaking at Domaine Paul Blanck, and then contemplate in the serene atmosphere at Eglise Saint-Jacques-le-Majeur. To find out how to plan a trip to Colmar, use our trip itinerary maker. You can drive from Bern to Colmar in 2 hours. Alternatively, you can take a train; or do a combination of train and bus. In April, daily temperatures in Colmar can reach 19°C, while at night they dip to 5°C. Finish your sightseeing early on the 22nd (Wed) so you can drive to Troyes. Many half-timbered houses from the 16th century remain in wonderful condition in the old town of Troyes. On the 22nd (Wed), get outside with Grimpobranches and then pause for some serene contemplation at Eglise-Saint-Pantaleon. To find ratings, where to stay, photos, and more tourist information, go to the Troyes trip itinerary builder site . Traveling by car from Colmar to Troyes takes 4 hours. Alternatively, you can take a train; or take a bus. In April, daily temperatures in Troyes can reach 19°C, while at night they dip to 5°C. You will have some time to spend on the 23rd (Thu) before leaving for Paris. Start off your visit on the 23rd (Thu): explore the historical opulence of Chateau of Vincennes and then get outside with ABC coach sportif. Here are some ideas for day two: admire nature's wide array of creatures at Jardin des Plantes, admire the landmark architecture of Basilica Cathedral of Saint-Denis, take in the architecture and atmosphere at Eglise Saint-Denis-de-l'Estree, then explore the historical opulence of Chateau de Malmaison, then stroll the grounds of Suresnes American Cemetery and Memorial, and finally tour the pleasant surroundings at Île de la Cité. To find where to stay, more things to do, ratings, and other tourist information, refer to the Paris holiday planning site . You can take a train from Troyes to Paris in 1.5 hours. Other options are to take a bus; or drive. Wrap up your sightseeing on the 24th (Fri) early enough to travel back home.